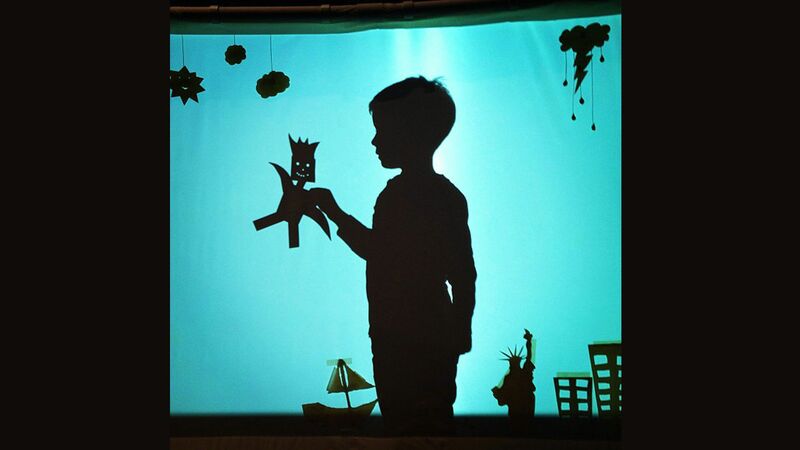 A maker teacher’s experience using puppetry and filmmaking to engage students with neurological differences. As a teacher of students with special needs, I have found the creative arts central to my teaching practice. The benefit of integrating the arts into the curriculum for reluctant learners has been well documented. As explained in Critical Evidence: How the Arts Benefit Student Achievement, arts instruction can develop cognitive and social skills, increase motivation, and help form a positive school environment when integrated into the classroom curriculum. Students score higher on standardized tests, engage in healthier behaviors at home, increase their community involvement, and report more engagement in the classroom. For students at risk of dropping out of school, the arts can be the major motivator to show up to school. I have seen similar benefits in populations of students with neurological differences (autism spectrum, ADHD, Tourette’s). While each student has a specific diagnosis, many need increased motivation, increased engagement and empowerment, and explicit scaffolding for social skills and executive functioning. The creative arts provide a multitude of opportunities to incorporate such scaffolding through collaboration and project-based learning. Last year, Brave Little Company, with funding from Young Audiences of Houston, a theater troupe, brought puppets into my high school classroom. Brave Little Company provided artists and filmmaking support, while the school provided academic structure and a makerspace for producing props and puppets. The students incorporated their science-fiction unit in English with a hands-on creative building process and a foray into digital filmmaking. The end product, a 15-minute video written, filmed, and edited by students, was shown during the annual academic showcase to the entire school. We began with teacher-artist planning. As the classroom teacher, I came up with a list of objectives based on each student’s individual education plan, and translated those objectives into measurable actions in the classroom (e.g., student X participates in collaborative writing, student Y engages in the editing process). The artist designed each session’s narrative flow, while I covered academic objectives, visuals, and support. We (the artist, students, and teacher) collaborated through the first three stages: set design, character design, and the writing process. We chose a dystopian, polluted setting—think something like WALL-E’s home—which could be explored in the students’ English, environmental science, and maker classes. It also immediately sparked student interest and engagement, which increases student learning and is especially essential for students with neurological differences. Next, we began designing characters. We researched various characters from popular culture and fiction, researched puppets, and brainstormed with materials in the school’s makerspace. We introduced a character-design sheet which used role-playing game tropes to help the students move from their ideas to fully realized fictional characters. Working with puppets physically reminded the students to think about things from new perspectives, and provided context for social interactions and collaborations. Students improvised different scenes (such as “your character finds food”) and emotions (“your character is angry”) by themselves to become more and more familiar with their particular character. Eventually, they wrote and performed short, one-person scenes. Each scene was filmed, and the artist provided feedback. Finally, the students engaged in an improv-esque collaborative writing process. They practiced improvisational conversation and techniques, especially the “yes, and . . .” concept, which helps the student practice engaging in conversation with another person on non-preferred topics through the safer point of view of their character. We had each student speak as their character and practiced accepting other actors’ choices. Only then did they write duet scenes with a peer. The investment in practice meant our students had proficiency in the specific writing skills they would employ, which lowered anxiety and increased creativity. This steady increase encouraged larger group writing sessions, as students suggested title credits, ending scenes, and soundtracks. Eventually, the students themselves led large-group writing collaborations, which ended up becoming the opening and closing scenes. Lastly, we began filming. The artist collaborated with students to frame individual shots and backgrounds for their work. The students constructed their own green screen and commandeered a conference room to be their puppet studio. In each previous stage, our focus on student engagement, interest, and ownership manifested itself in a “director’s cut” of the project. Our artist was to utilize his professional contacts to edit the final footage, but our students beat him to the punch. The collaboration was a resounding success. In academics, we saw students engage in the complete writing process, especially in revising their work and incorporating their peers’ feedback. Students increased their stamina, practiced collaboration, and published their work in both written and visual forms. Students strengthened their executive functioning skills by working toward a deadline, setting their own goals, and completing their work. The students’ successes were a direct result of teacher/artist collaboration, student empowerment, and scaffolded instruction.